U.S. Attorney General Eric Holder applauded the commission's decision to eliminate mandatory minimum sentencing he said in a statement released Friday. WASHINGTON — More than 200 non-violent drug offenders sentenced in federal courts in Maine will be eligible for early release under an amendment to the sentencing guidelines passed Friday by a U.S. judiciary agency, but they will need to wait more than a year to receive reductions. The U.S. Sentencing Commission voted unanimously to make 46,290 drug offenders in federal prisons eligible for review by federal judges to determine whether the sentences can be reduced without jeopardizing public safety. The commission expects eligible candidates to receive an average of 25 months off their sentences beginning in November 2015, making retroactive an amendment to sentencing guidelines passed earlier this year. “Maine has 203 eligible offenders, based on the Commission’s estimates back in late May, when the full number of eligible inmates was 51,141,” Jeanne Doherty, Public Affairs Officer for the U.S. Sentencing Commission, said Friday. Congress has the authority to block both amendments by Nov. 1 of this year. “Making these new guidelines retroactive will offer relief to thousands of people who received overly harsh sentences under the old sentencing guidelines,” said Jesselyn McCurdy, senior legislative counsel at the American Civil Liberties Union, which has advocated sentencing reform. Support for efforts to reduce sentences has grown in Congress and the Obama administration as U.S. crime rates have declined dramatically from levels three decades ago. Attorney General Eric Holder issued a memo in August 2013 telling federal prosecutors they should no longer pursue mandatory minimum sentences for certain low-level, nonviolent drug offenders. A bill in Congress that would eliminate mandatory minimum sentences for nonviolent drug offenders has strong bipartisan support, including from Sen. Mike Lee, R-Utah, who sponsored the bill. “It is as if all the branches of government woke up this year and figured out something that had to be done about the problems associated with overincarceration,” said Mary Price, general counsel for Families Against Mandatory Minimums. Opponents of sentencing reform include law enforcement officers, prosecutors and some lawmakers, who warn that reducing sentences could cause crime rates to rise. A majority of U.S. attorneys opposed the amendment passed Friday, according to a source familiar with the process, on the grounds they did not want to change drug sentences previously handed down. 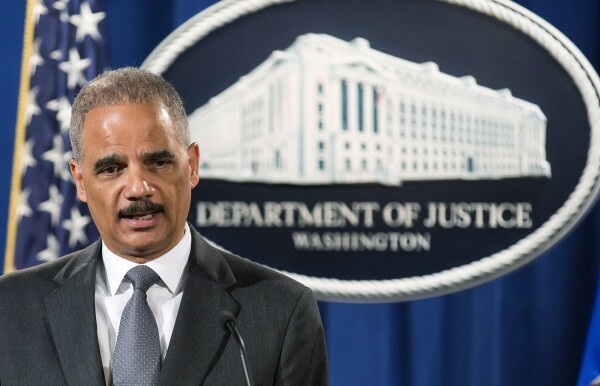 Holder, however, applauded the commission’s decision in a statement released Friday. At the state level, including such conservative places as Texas and South Carolina, sentences for drug offenders have been cut to address overcrowding in prisons and stretched budgets. Research from the Pew Charitable Trusts shows that reductions in those states’ prison populations have had no effect on public safety.